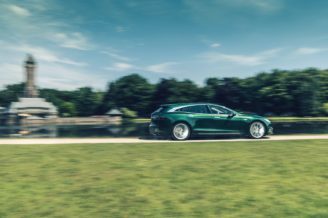 Dutch coachbuilder RemetzCar took the wraps off its version of the Tesla Model S Shooting Brake on Tuesday, unveiling a stunning gold-green, modified all-electric wagon in London. 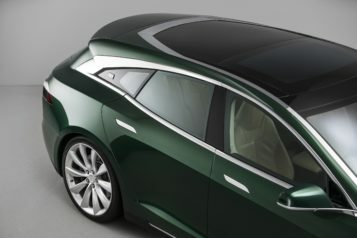 The design of the custom-built Tesla came from the studio of 33-year-old car designer Niels van Roij, who led the team that worked on converting the Model S into a shooting brake. In an interview with Autocar UK, van Roij, who now runs his own design studio, spoke about the Model S’ conversion, its journey from concept to reality, and his thoughts about Qwest Norfolk’s Model S Shooting Brake, which was unveiled earlier this year. 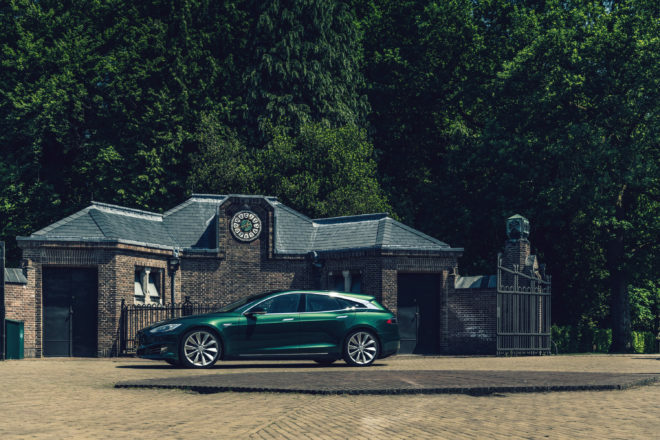 According to van Roij, his Model S Shooting Brake project started when it gained funding from Floris de Raadt, a Dutch entrepreneur with a passion for shooting brakes. The 33-year-old designer stated that de Raddt was glad to fund the project. Considering de Raadt’s passion for new technologies, however, the base vehicle had to be a Tesla. 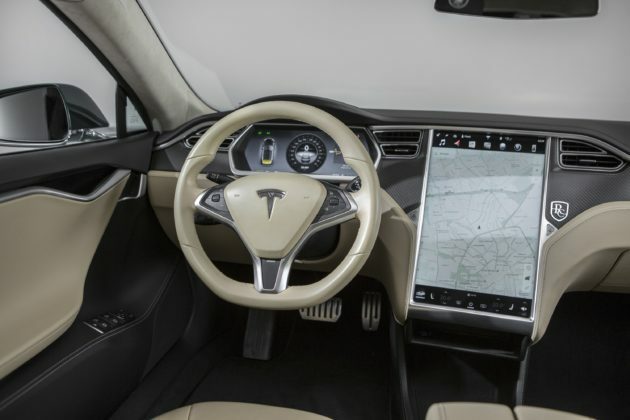 “Advanced technology is what makes him tick – that’s why it had to be a Tesla. He wanted to signify that we’re at the start of a new era,” van Roij said. As per the recommendation of de Raadt, van Roij ultimately partnered with RemetzCar, an auto firm that specializes in building stretched cars for the royal family of the Netherlands. RemetzCar was no stranger to Teslas, either, as the company has designed a Model S hearse in the past. According to RemetzCar on its official website, the conversion itself involved crafting new aluminum body panels for the extended hips, the new c-pillar, the shape of the roof at the back and the modified window seals. A third brake light, a concealed rear wiper, and custom chrome moldings were also created for the vehicle. “The client knew them and proposed them. They had the skills to do everything by hand, from beating the aluminum into shape to working with the glass to achieve the huge roof shape. Everything we have added is sculptural; nothing is there for the sake of it,” he said. Upon completion of the project, the modified all-electric vehicle was rebadged as the RemetzCar Model S SB. 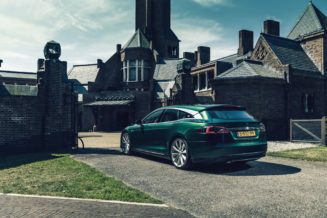 According to van Roij, they are planning on building 20 units of the Model S Shooting Brake, though he has stated that they could probably make as many as 30 if the vehicle proves popular. 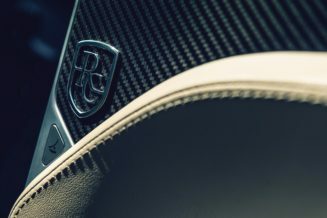 Octane Magazine, which was present during the vehicle’s launch event in London, recently announced the price of RemetzCar’s shooting brake conversion. According to the UK-based auto publication, the cost of the conversion starts at around £80,000 ($107,000) on top of the Model S, which starts at $74,500 for the base 75D version. The RemetzCar Model S SB is not the first shooting brake of its kind. That honor goes to UK aftermarket company Qwest Norfolk, which completed its conversion of the Model S earlier this year. As we noted in a previous report, Qwest’s conversion starts at $84,000, making it more than $20,000 cheaper than RemetzCar’s version. 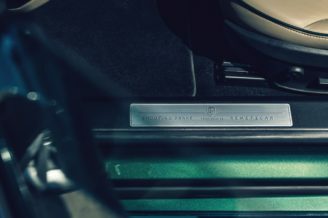 For its higher price, however, RemetzCar’s shooting brake includes a complete rework of the Model S’ interior, unlike Qwest’s vehicle, whose interior is mostly stock. 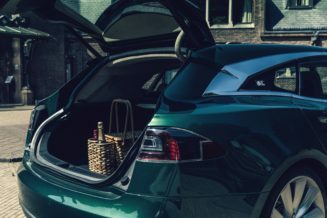 Unlike Qwest’s shooting brake, which is also built to maximize luggage space, de Raadt noted in the company’s press release that the RemetzCar Model S SB is designed to be sporty and elegant. Van Roij, however, stated that he is nonetheless fascinated with the bodywork done on his car’s UK counterpart. According to the designer, he is happy to see that the two shooting brakes are very distinct from each other. “We were aware of it even when we started our own project, and it was nice to see that the two concepts are really very different. Now customers have a choice. The way they have made their bodywork is fascinating, and the way we have handcrafted ours is also fascinating, I hope. I wish them well,” he said.